The Wireless Combo System with PG58 and PGA31 combines simple setup and an intuitive interface for performance you can trust in. The comfortable headset offers maximum freedom of movement when performing or presenting. 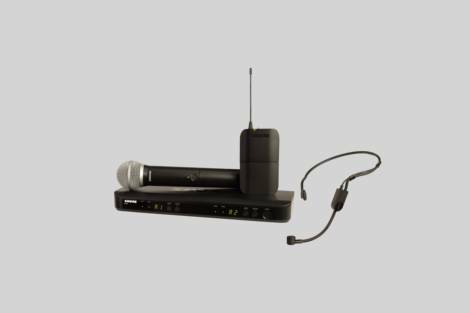 The PG58 is the most accessible wireless Shure vocal microphone for elevating sound quality.